About this episode. A hustler does not hesitate. He or she seizes opportunity, and paves their own lane if one does not yet exist. Van Monroe shares his story of success creating art for some of the biggest names in entertainment and how his love for art enabled him to see opportunities disguised as obstacles. About our guest. 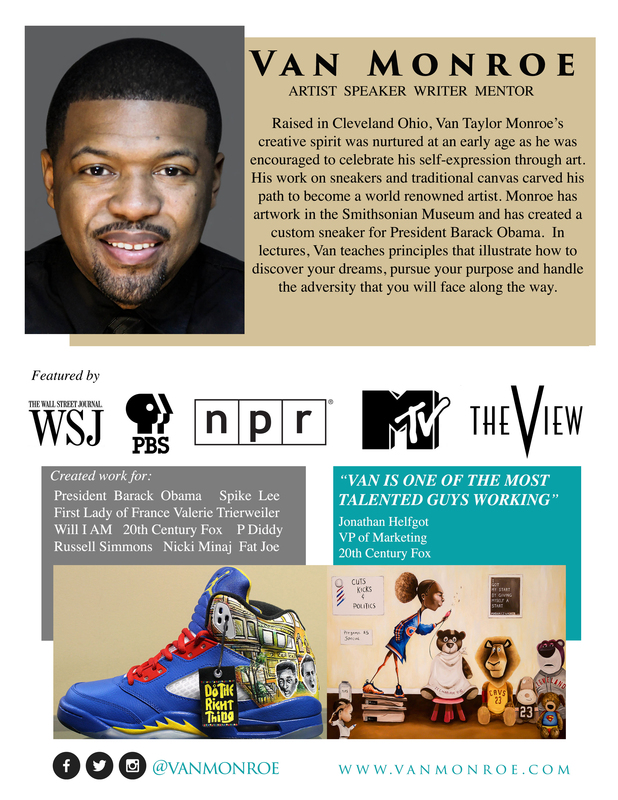 Raised in Cleveland, Ohio, by a family of non­traditional artists, Van Taylor Monroe creative spirit was nurtured at an early age, as he was encouraged to celebrate his self­expression through art. Later, he attended Miami University in Ohio as a graphic design major and quickly combined his business savvy with his creative talents. 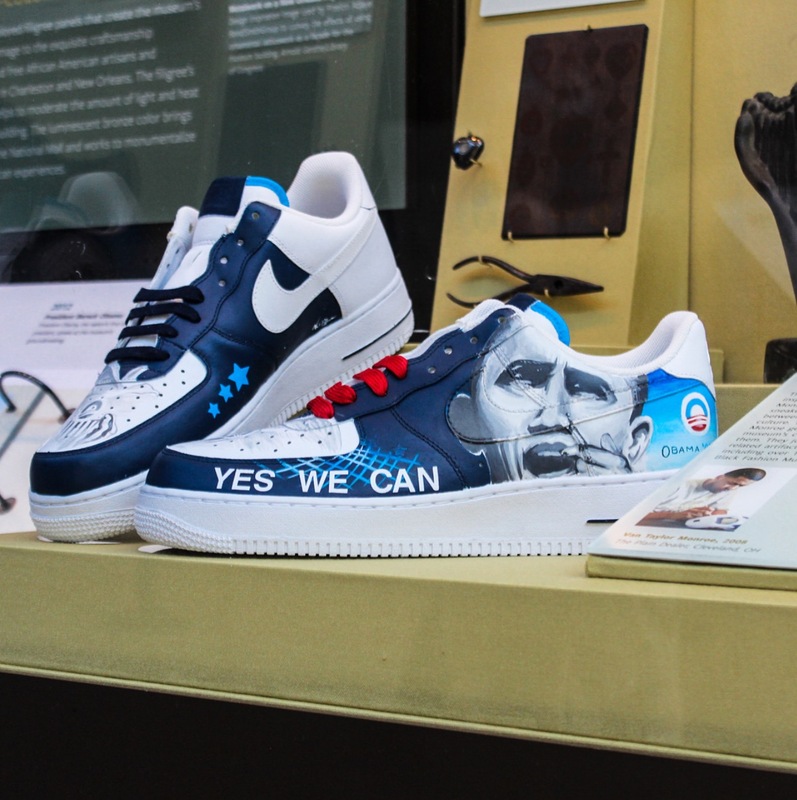 Since graduation, Monroe has become a well­known talent in painting traditional canvas, photography, digital art, film, murals, and customized sneakers. Van’s artwork was nationally recognized and added to the Smithsonian Museum’s collection and also featured in the Manifest Hope Gallery. Monroe has traveled to Africa to teach painting techniques to students at Academie des Beaux­Arts in Kinshasa, DRC. He has created artwork for President Barack Obama, Valerie Trierweiler, Spike Lee, Afeni Shakur, Will.I.Am, Hill Harper, Queen Latifah, Nicki Minaj, Ray Romano, DJ Tiesto, Jennifer Lopez, Carmelo and LaLa Anthony, Josh Hutcherson and countless other celebrities. Van has worked with 20th Century Fox in promoting their summer blockbuster movies Wolverine and Ice Age 4 with his sneaker designs. Monroe’s adept leadership ability was celebrated by his community through his induction into Cleveland’s prestigious 40­40 club. In 2014, Van Monroe became the first African American male inducted into the Euclid High School Distinguished Achievement Hall of Fame. Through the richness of his life experiences and artistry, Van has devoted his existence to walking in his purpose and encouraging people throughout the world to pursue the dreams that are hidden within their hearts. Listen to Van’s episode here or on your favorite podcast app.